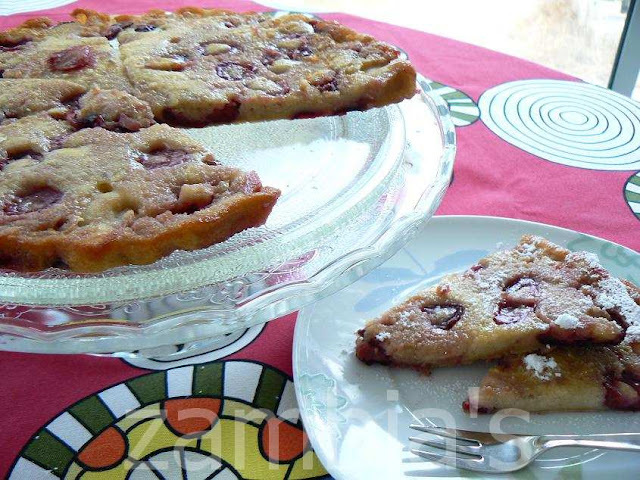 Clafoutis is a local cherry pie of Limousin, an area of France, that is made with the first sweet cherries of the season and made ​​with whole cherries, ie without removing the cherry pits, that gives the baked cake, an aftertaste of almond flavor. 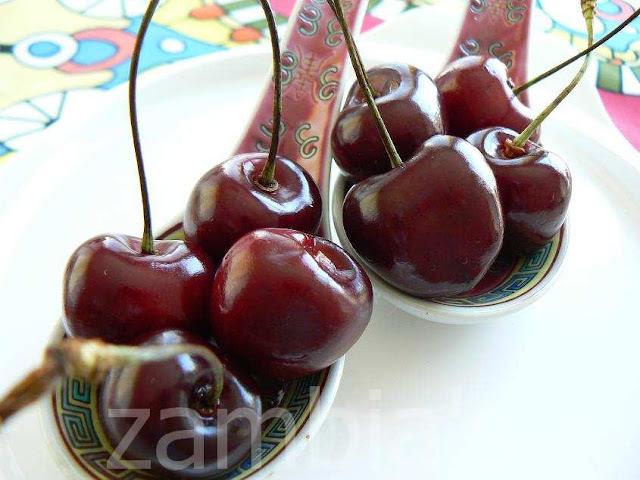 We, however, for ease in eating will remove the cherry pits. Remove the core of the cherry with the special tool, which leaves the cherries nice and intact, or if you do not have the tool, like me, cut the cherries in half and remove the pits. In a nonstick pan 22-25cm/ 9"-10" diameter (which may be the same that will be used in the oven), put the butter and make sure to spread it around the pan and it's sides. 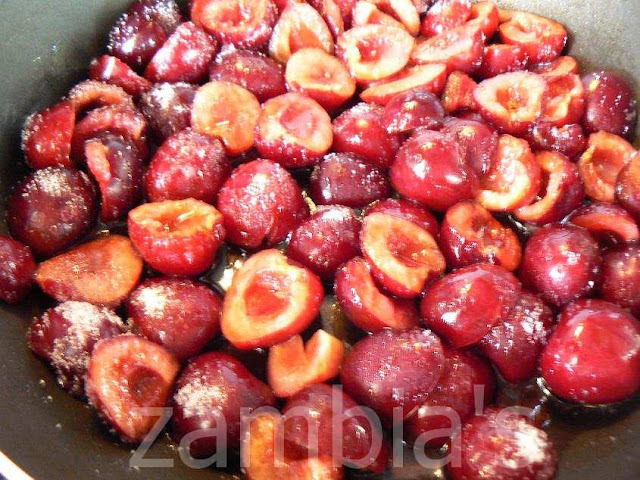 Place the cherries and sprinkle the sugar. Leave them on medium heat to cook a bit, to release their juice and get caramelized. In a bowl stir for 2-3 minutes all the ingredients of the mixture. 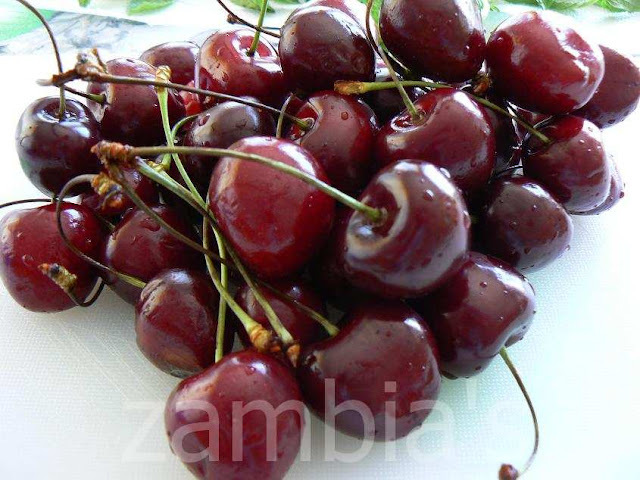 Pour it over the cherries and put the pan in a preheated oven at 180°C/ 350°F/ 4 Gas Mark for 20-25 minutes, until it gets a nice color at the edges. 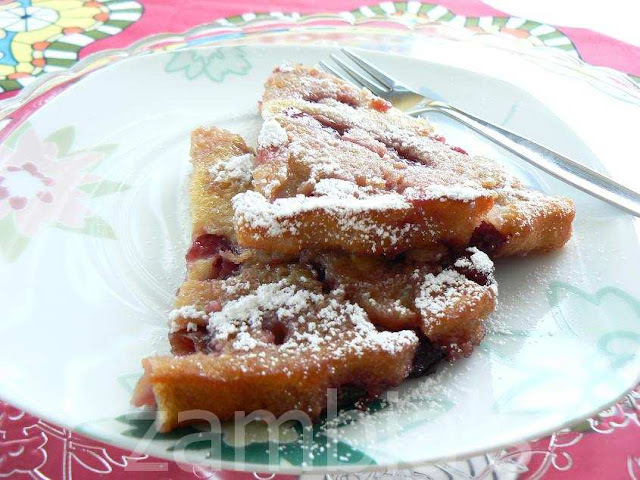 Allow it to cool, sprinkle with a little icing sugar and enjoy your breakfast with a nice cup of coffee! 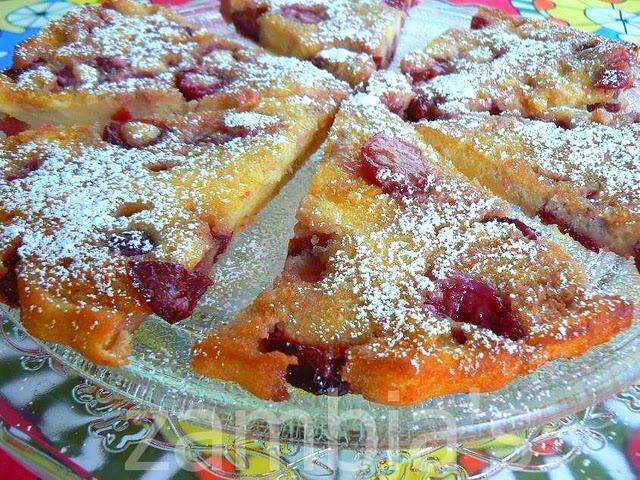 While you can still buy cherries in the market, I urge you to make this dessert, that is very pleasant to eat and will not add too many calories!